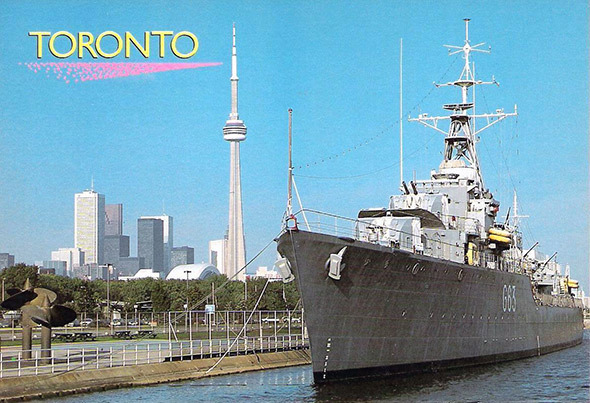 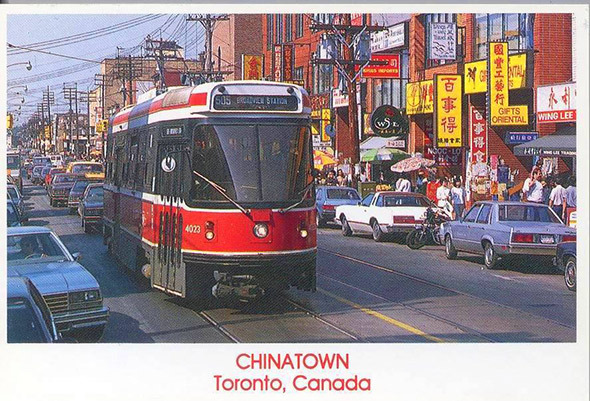 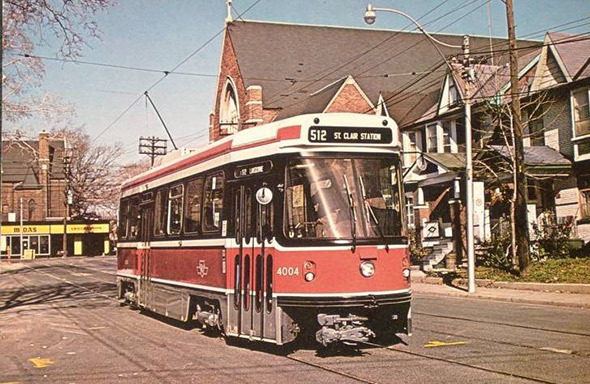 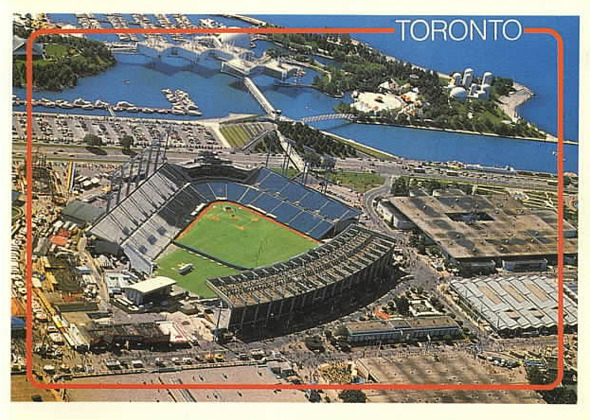 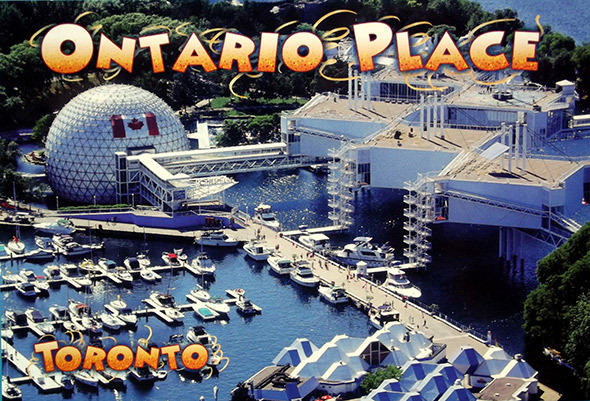 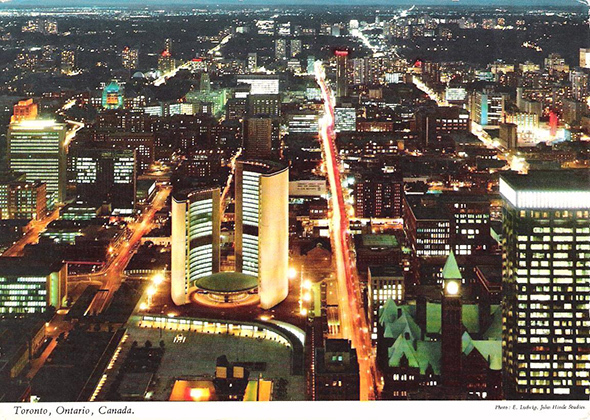 Toronto postcards from the 1980s are a bit more difficult to come by than you might think. 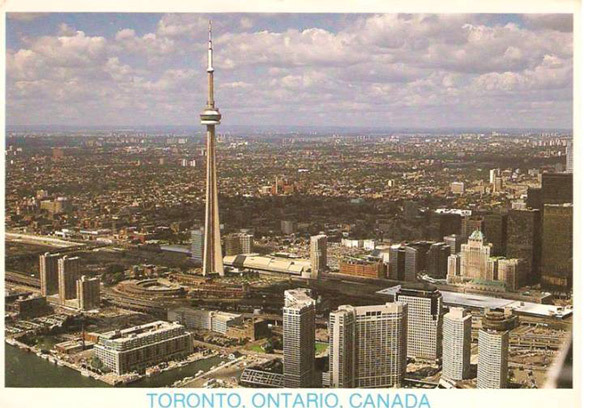 While we're blessed with a huge collection of these bits of nostalgia from the 1970s, less have made their way online from the decade that followed. 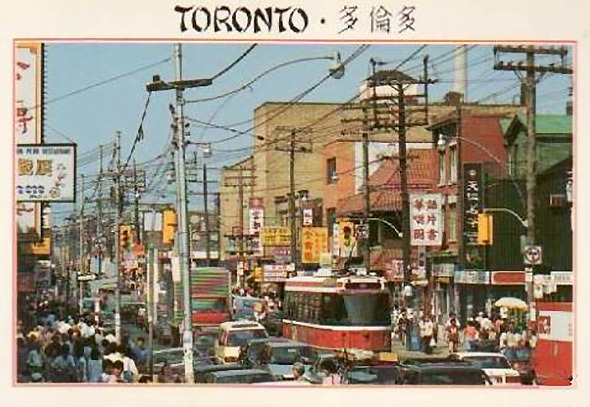 That said, it's irresistible for me to pull together than ones that are floating around out there because I just love Toronto of the 1980s. 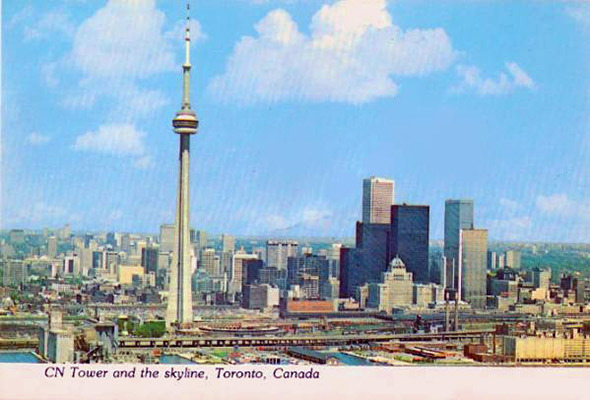 During this period, the city was at once modern and sparse, on the brink of the condo development boom that would so drastically transform its landscape in the decades that followed. 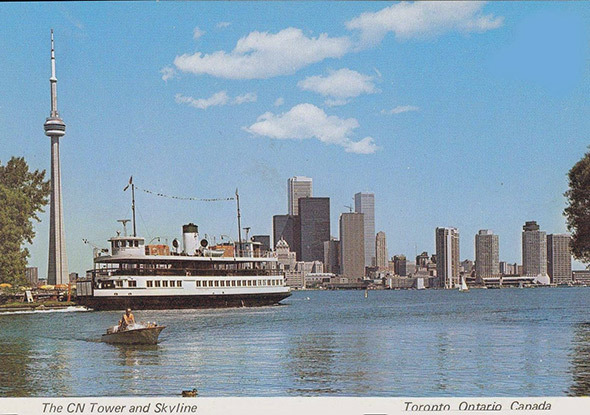 Even the skyline postcard below hints at what's to come, with the first appearance of condos at the foot of Bay St. All in all, however, these postcards flaunt a Toronto that's not quite grown up, even if it wants to flaunt its skyscrapers and tourist attractions. 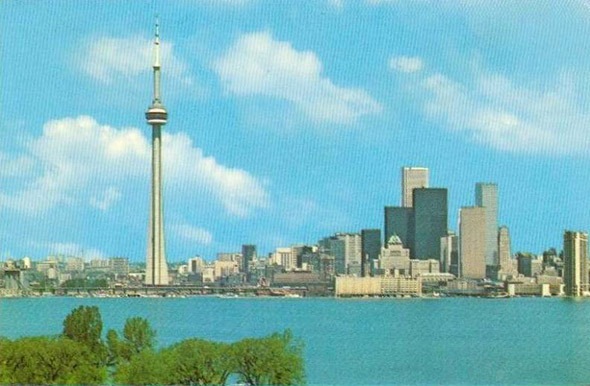 The city appears a bit simpler of a place, brimming with optimism. 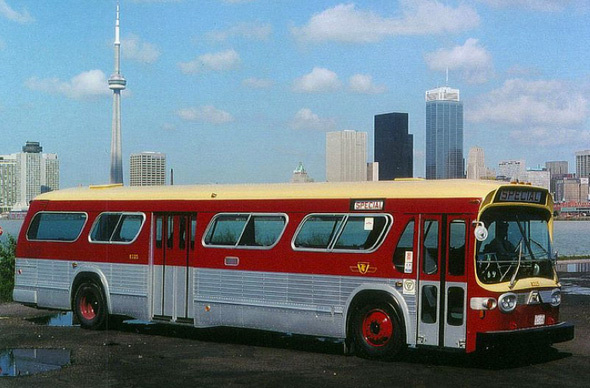 It's a lovely little nostalgia trip.